Banking Supplies for Vending, Wholesale Banking Equipment Supply Companies listed here! BANKING SUPPLY COMPANIES! Please contact these banking suppliers direct for more information about their banking equipment & banking supplies. FOR SALE: USED MONEY HANDLING EQUIPMENT!! – ABEC specializes in used money-handling equipment, including coin sorters, coin wrappers, and currency counters. Brands we deal in: Cummins, DeLaRue, Glory, Magner, Reis, Talaris, Scan Coin. Click here to view inventory to choose from! and give us a call 800-255-8064 Contact Mack at 503-550-6077 with any questions. CoinCounter.com– From household coin counters to commercial high speed coin counters, CoinCounter.com provides a wide variety of coin counting machines and supplies for your coin processing needs. A division of BankingEquipment.com, we also handle currency discriminators, mixed money counters, banking supplies and equipment. Visit BankingEquipment.com for these items. Count-Money.com sells and rents an extensive line of currency handling equipment and supplies. We provide the finest coin and bill counters and sorters counterfeit detectors, redemption tickets, pull tabs and more! Experience our top-quality product line and renowned excellent customer service. Veteran owned business. 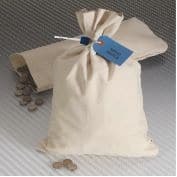 General Bank Supply – We carry a complete line of cash and coin handling products such as: coin wrappers, plastic coin bags, canvas coin bags, plastic deposit bags, locking bank bags, zipper wallets, cash boxes and trays, and many other teller and cashier supplies. Call or Order Online Today, Vending Connection users enter Code VC010 to receive 10% Discount!! 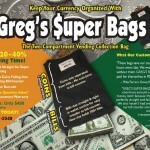 Visit our website at www.GeneralBankSupply.com.